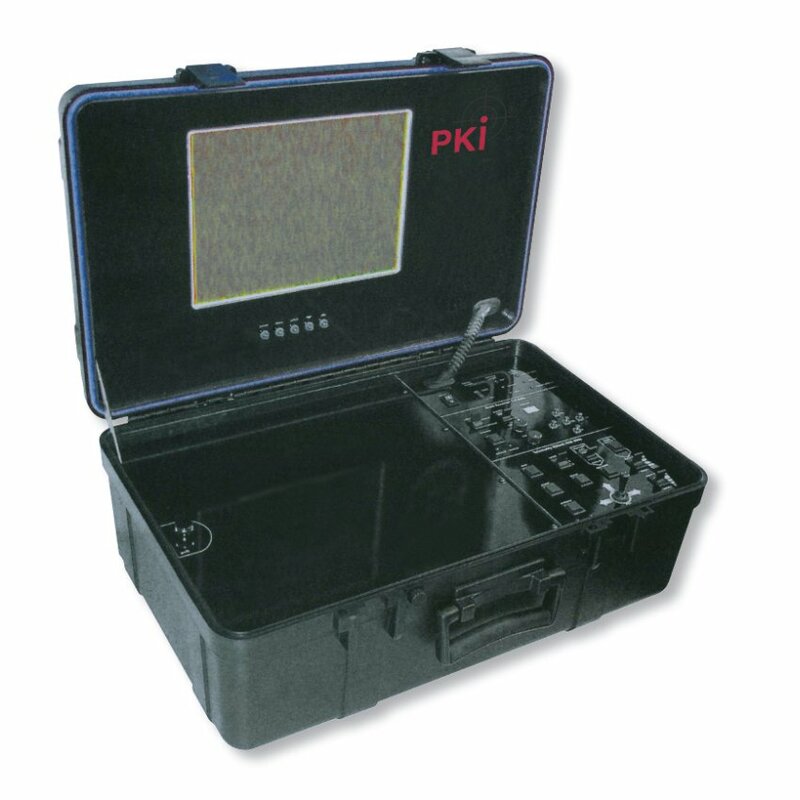 Integrated in a hardcover protective case you will find an interesting surveillance unit. Besides receipt of signals from wired and wireless cameras the built-in telemetric module of the unit can alter camera settings, such as angle, adjust zoom, focus, day/night setting. Miscellaneous: external video recorder port available (see PKI digital recorder). Digital encrypting systms are available upon request.